Lil' Inker: Design Team Reveals Day 3! Design Team Reveals Day 3! Ok! Here we go! Brace yourselves for another exciting Design Team Member announcement!!! What can I say? She's amazing! She's a rising star! She's this week's Moxie Fabber and she recently made the Gallery Idol Top 15 at Paper Crafts Magazine! It's none other than Sarah Jay of Criminal Grace! 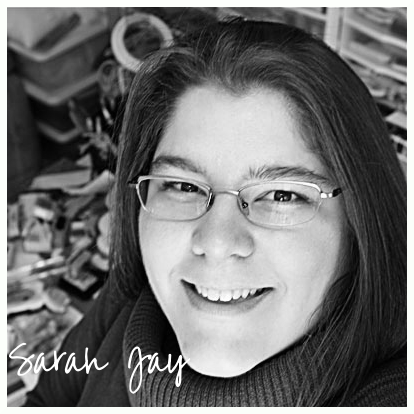 I'm Sarah Jay: web developer, mother, and wife by day, paper crafter by night. I live in Southern New Hampshire with my husband and an insanely active toddler. I work full time maintaining web sites for an IT solutions provider, so late night crafting sessions are the way I unwind and let out some of my creative energy. I've been paper crafting and stamping since the turn of the century, and have recently had the thrill of seeing my work published. I just love Sarah's work! It's going to be fabulous to have her as a part of the team!! Thanks for stopping by today! Don't forget to visit Sarah and let her know how exciting you are to see her upcoming projects!